Ronaldo quickly proved himself worthy of the seven shirt and forged his game and physique during his years in Manchester. Ronaldo contributed mightily to the team’s three consecutive league titles and earned the world’s best player award in 2008. “In the five years that I was there, I learned the art of football. We won many things together. It was a dream for me,” says Ronaldo. 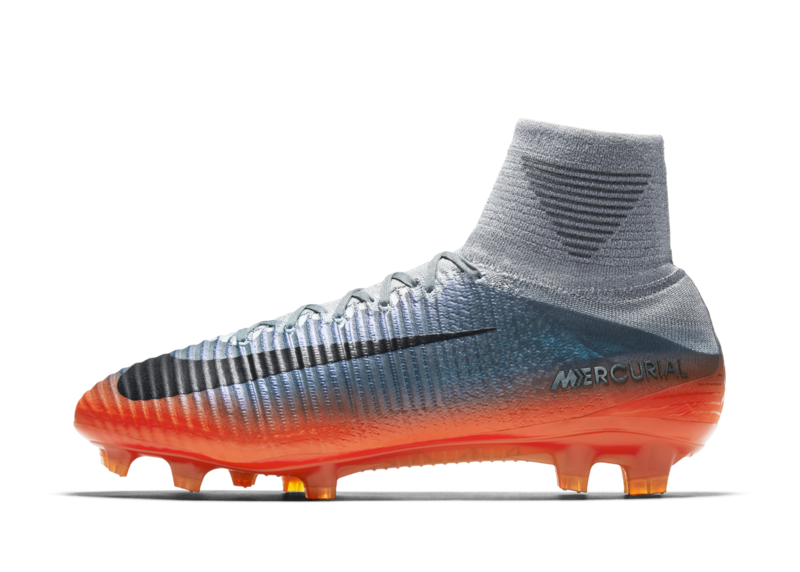 These transformative years provide the inspiration for Ronaldo’s Chapter 4: Forged for Greatness boots. The design is a nod to hot iron being forged into shape. Molten-esque orange and red gradients on the plate transition into metallic tones of the color-shifting upper. 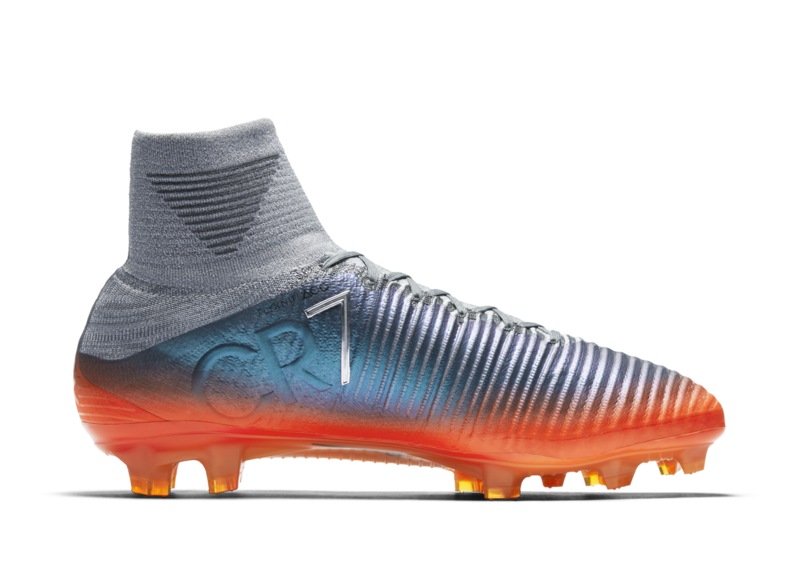 The CR7 logo on the medial side features a prominent 7 against tonal CR lettering to highlight his shift to the number seven shirt during these years. 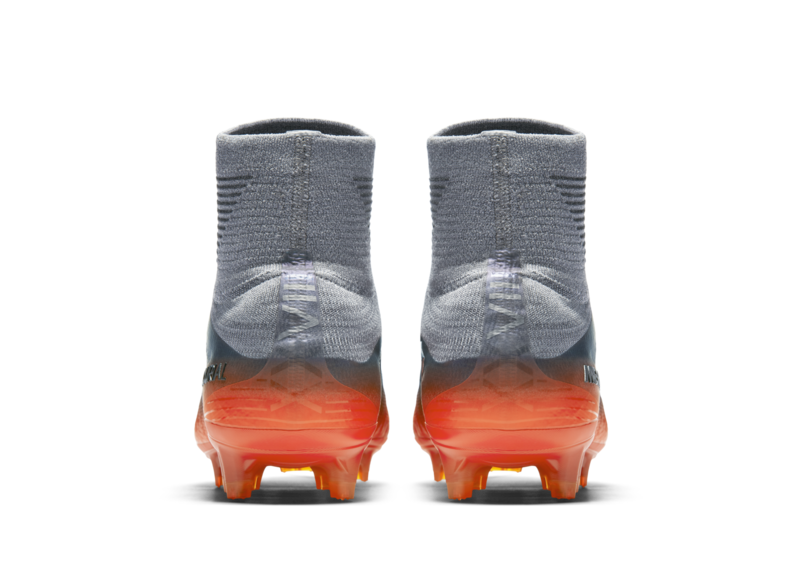 The heel counter features the Roman numerals for 28, Ronaldo’s previous number, with the VII of the XVIII highlighted to reference the emergence of seven from 28. The design is a nod to hot iron being forged into shape. Molten-esque orange and red gradients on the plate transition into metallic tones of the color-shifting upper. 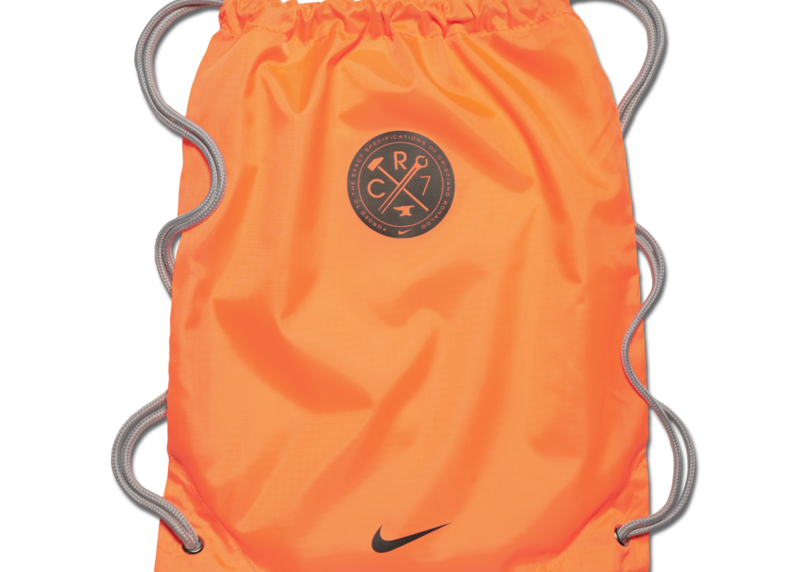 The CR7 logo on the medial side features a prominent 7 against tonal CR lettering to highlight his shift to the number seven shirt during these years. 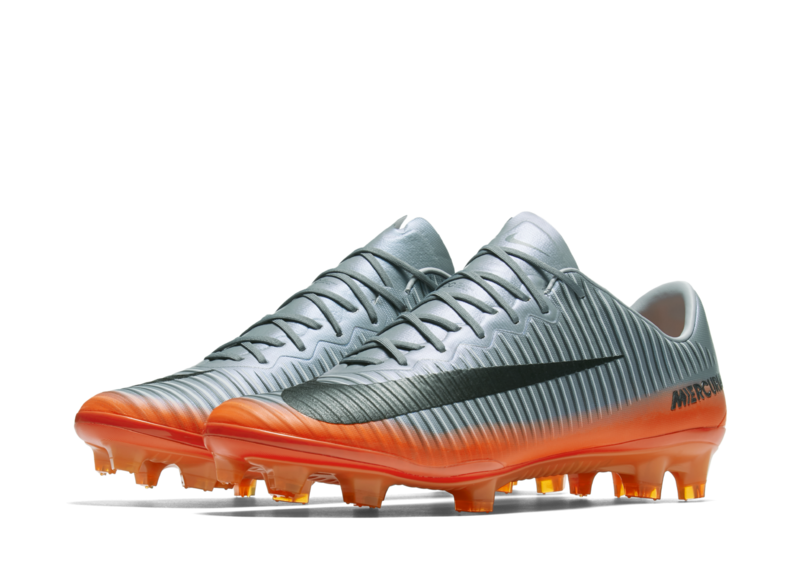 The heel counter features the Roman numerals for 28, Ronaldo’s previous number, with the VII of the XVIII highlighted to reference the emergence of seven from 28. 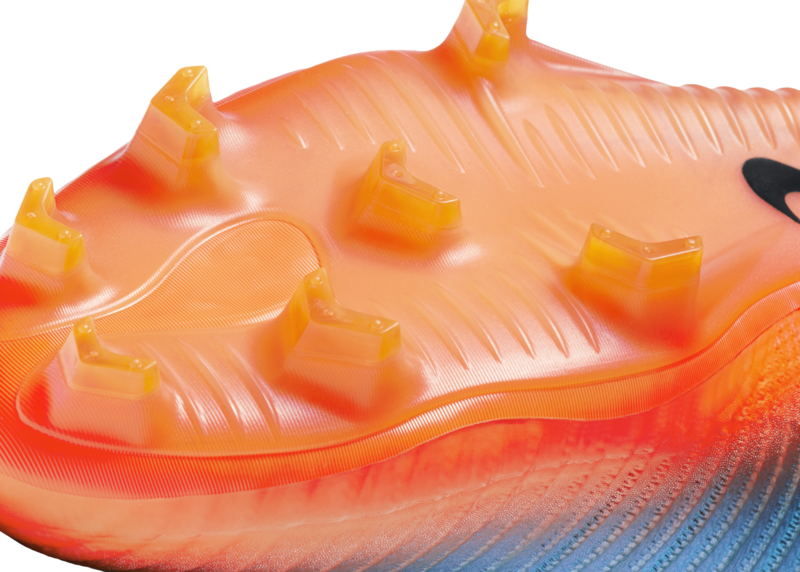 CR7 Chapter 4: Forged for Greatness boots will be available in Superfly, Vapor and NikeFootballX versions on April 10.